Have you ever heard that there are more important things in life than money? If so, then what is more valuable than money? If you can’t answer the question, how do you know that money isn’t the most significant thing in your life? Three things have much greater value than money in my life – faith, family and friends. I have very strong convictions about my faith. You don’t have to agree with my theology, and I respect your right to be wrong… just kidding. Seriously though, I do believe my faith is real and true. If I don’t really believe my religious convictions are true, then I’m essentially saying that I believe in a lie. However, I also respect your beliefs and convictions even though I may not personally agree. It’s my faith in the true character and nature of God that I know will see me through anything I encounter in this life, and usher me into the next. It’s been a difficult couple of years for Lady M (my wife) and I. My faith has helped me deal with life, people and situations when I didn’t understand or have a clue. At times, I just needed to remind myself of the Biblical verse Romans 8:28, which states that in all things God works for the good of those who love Him, who have been called according to His purpose. Family is the next most important thing to my faith. Over the past two years, I have truly come to appreciate the value of a good and supportive family. I can lose everything and still be okay, so long as I have my family. Conversely, I also know that I could have all the fame and fortune in the world, but it would be worthless if I sacrificed my family to attain it. Careers will end, kids will grow up, and friends will come and go. Lady M will be the one thing that remains… until death do us part. Your family history may be destructive and painful. Families can be a great source of strength and encouragement, but they can also inflict some of the deepest wounds you’ll ever experience. If that is your story, I’m sorry and truly wish it were not the case. I have no simple solutions to overcome your past. All I can do is to offer you hope that you can build the family you never had. Learned behaviors and patterns may be hard to break, but I have seen other people do it and know you can too. Friends follow close behind family. I believe we all have an innate need and desire for relationships with other people. Maybe it goes all the way back to the beginning when God said that it was not good for man to be alone. The victories and successes of life can become hollow if you don’t have anyone to celebrate with and share the good news. Furthermore, if you stumble and fall, it can be difficult to recoup and regain momentum without someone to help you. You can choose to live life alone, but I think you will miss out on so much by going solo. All relationships take effort, and people will disappoint you. They are human, and so are you. Friends can hurt you the way that complete strangers can’t, but like family, they can also bring you greater love, appreciation and joy. I have a Successories print that’s been hanging in my office for over a decade. Under the picture of a little boy it reads, “Priorities – A hundred years from now it won’t matter what my bank account was, the sort of house I lived in, or the kind of car that I drove… but the world may be different because I was important in the life of a child.” I admit it’s a bit cheesy, and I’m dorky. However, it can also be a good reminder of what’s most important in my life. Call them priorities, values or the treasures of life. When it’s all said and done, so many things that I expend my energy upon won’t matter. Money may keep me alive a little longer, but it can’t make me live forever. All the treasures and possession I accumulate in my life will one day belong to someone else. 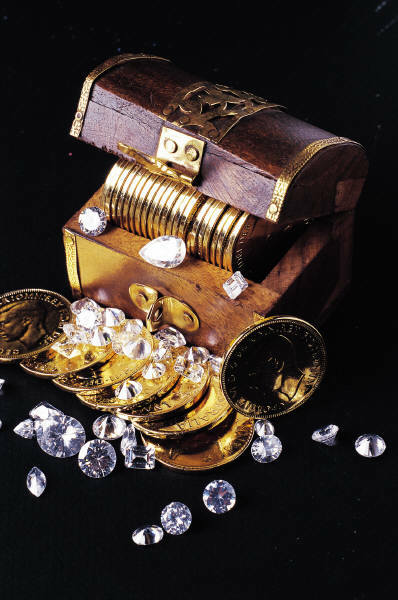 With that in mind, I want to invest in treasures that will last a hundred years and beyond. For me, that’s my faith and the lives of other people.